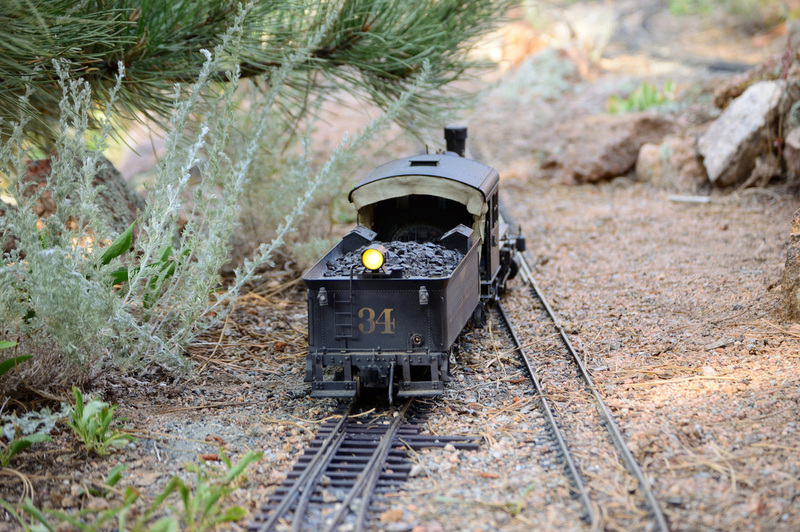 The Silverton Northern is set in 1909 depicting the prototype as it ran it's 17 miles from Silverton, CO to Animas Forks. 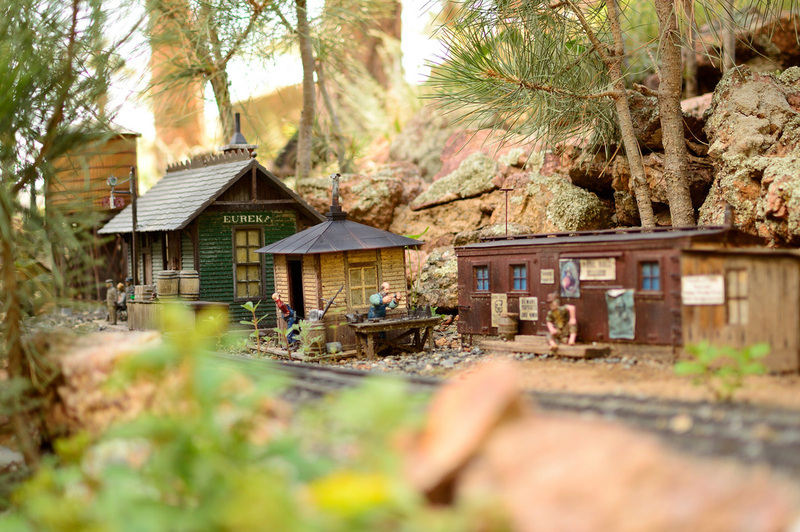 The natural setting of the garden railroad is on a hillside in the foothills, so there is a lot of natural rugged terrain. Photo opportunities are endless. There is approximately 300' of track including a long extension with a switchback and a long 4% grade. The buildings are heavily modified Pola, Piko, and scratch-built. The rolling stock are modified, heavily weathered and mixed manufacturers including some scratch-built. There are 3 locomotives: a Connie, a Shay, and a Porter all battery powered, weathered and modified. The railroad has 3 trestles, 2 bridges, 2 tunnels and several waterfalls. 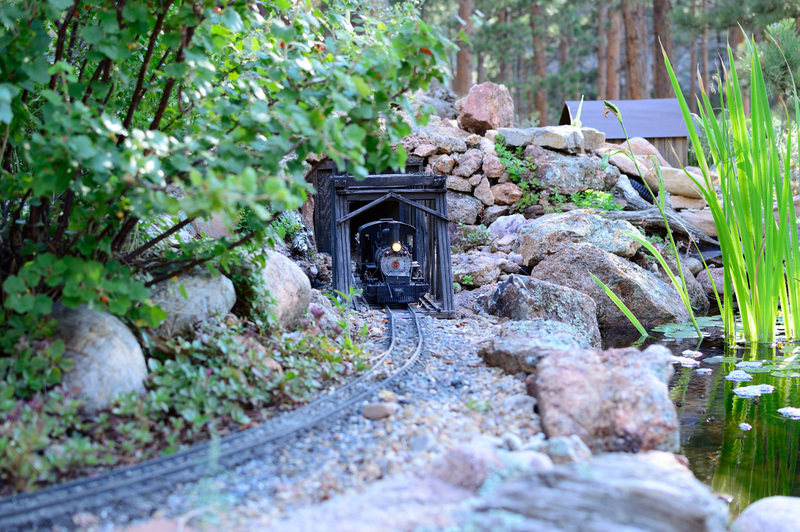 Not only will you see the railroad but experience some of the beauty of the Rocky Mountains. 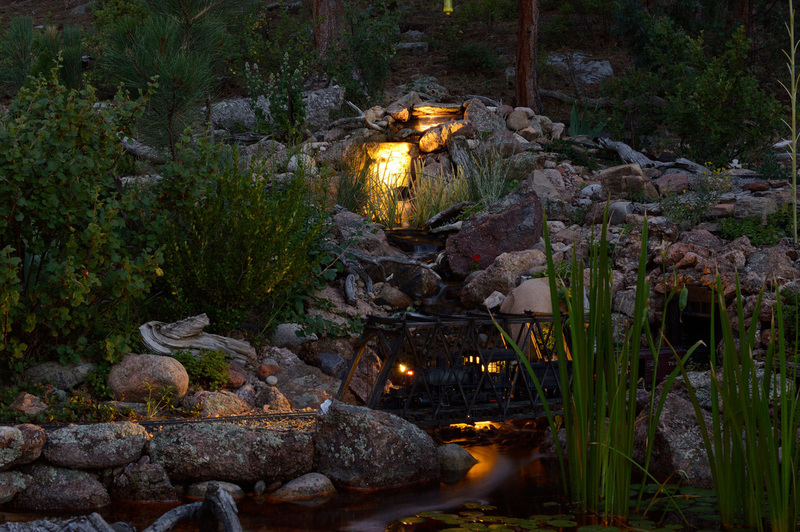 We are 20 miles from Estes Park and Rocky Mountain National Park. Unfortunately, we are not wheel chair accessible. You will have to climb a normal flight of stairs to get to the railroad. We have bathroom facilities available and a lot of trees.